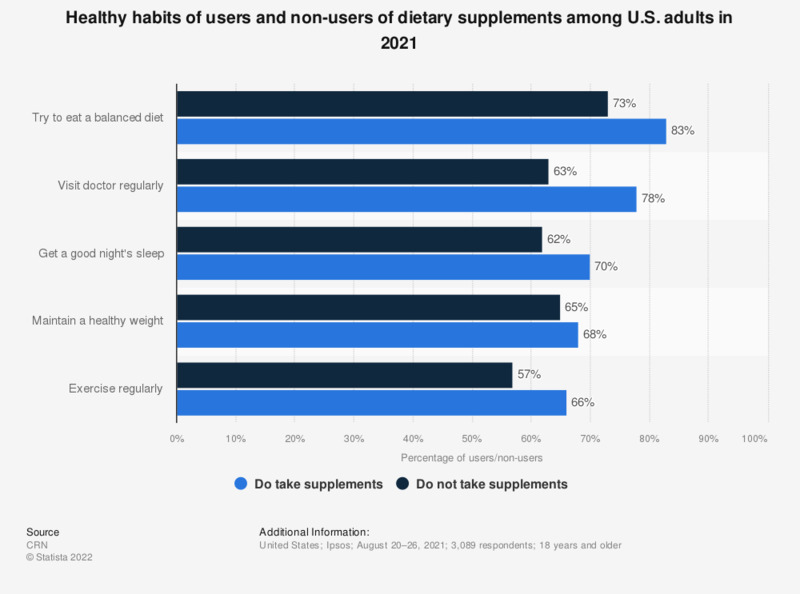 This statistic indicates the healthy habits of users and non-users of dietary supplements among U.S. adults. This statistic is based on a survey conducted in August 2018. According to the survey, 57 percent of those who did not take supplements exercised regularly, while the percentage stood at 70 percent among supplement-users. The nutritional supplement industry has seen a large growth in the market, especially in protein supplements and vitamins. Everything On "Vitamins, minerals and supplements" in One Document: Edited and Divided into Handy Chapters. Including Detailed References.